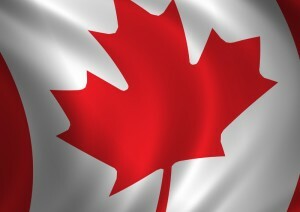 We’re always bragging about it, and now it’s official once again – Canada has the most powerful country Brand in the world for the second straight year according to the international business consulting firm FutureBrand with offices in New York, London and Singapore. FutureBrand announced, at the 32nd annual World Travel Market in London, England, that Canada keeps the top spot in its 2011 Country Brand Index (CBI), the most comprehensive worldwide study of how travellers perceive countries around the world. The rankings are based on a global sample of online interviews of savvy leisure and business travellers. The study looked at 110 countries through online interviews with 3,400 travellers from 13 countries and Canada came out on top for the second year running. Switzerland was second, followed by New Zealand, Japan, Australia and the USA. Completing the top 10 were Sweden, Finland, France and Italy. Both Australia and the USA dropped in the rankings, but remain in the top 10. Despite the Royal Wedding and next year’s Summer Olympic Games in London, the UK fell from a number 9 ranking in 2010 to a relatively dismal 13th spot in the rankings released today. The Canadian Tourism Commission also was proud to talk about the honour. “According to the (index), the most important factors that truly differentiate a nation’s brand are its associations and attributes: the qualities that people think of when they hear a country’s name, read or see images of a location, or plan a business or leisure trip,” the commission postged on its web site.